Caravan Parks Tasmania provides this website simply to assist persons interested in taking a caravan, campervan, motorhome or camping holiday in Tasmania and takes no responsibility for the accuracy or completeness of, or the representations made by, the content of this site. 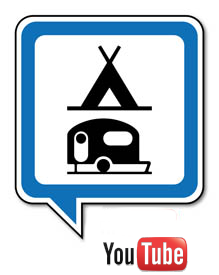 Caravan Parks Tasmania takes no responsibility for the content of any website that links from our website. Please read the disclaimer carefully. The Caravan Parks Tasmania website contains information provided by operators of caravan parks in Tasmania, and souced independently through visits to the park. You should be aware that there may be technical inaccuracies, typographical errors, programming bugs or computer viruses in this website or its content. Access to this web site is provided on the condition that to the full extent permitted by law, Caravan Parks Tasmania is under no liability to any person in respect of any loss or damage (including consequential loss or damage) which may be suffered or incurred or which may arise directly or indirectly from or in connection with any use of this website or of the information on or accessed through this website for whatever reason. Any information contained within this site about any subject matter whosoever is of a general nature only and is not intended to be complete or definitive - you should always contact individual operators of caravan parks in Tasmania if you have any questions specific to the services they offer. Caravan Parks Tasmania has no affilaition in any way with any individual caravan park, tourist authority or representative body. We hope you enjoy your Tasmanian holiday. A caravan holiday in Tasmania is an affordable and effecive way of seeing as much of our beautiful island state as possible - whether you are a grey nomad, a family on a budget, a backpacker or travellers who simply love staying in caravan parks, tourist parks, cabin parks or campgrounds.